In 2005, the SJF, in cooperation with the CLC, USW and the former CAW, supported a rehabilitation program in the tsunami devastated region of southern India. 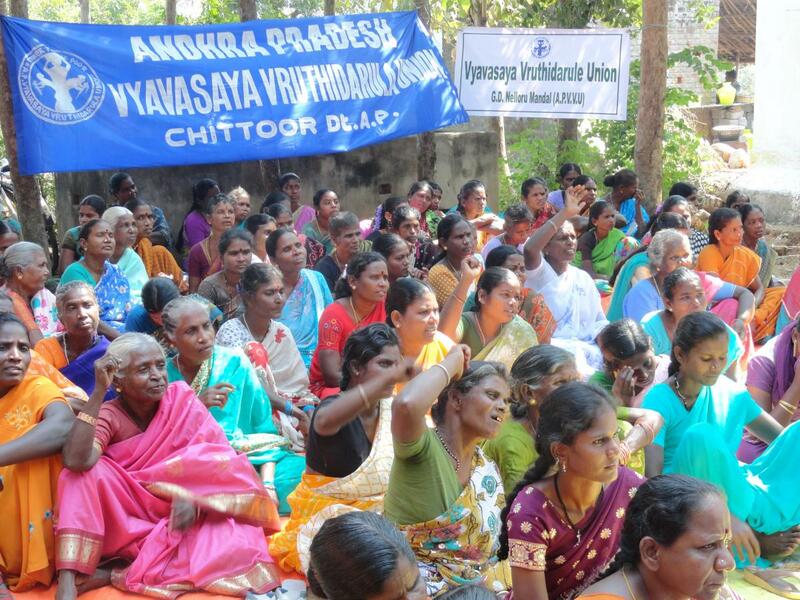 Led by the Union of Fish Harvesters, Agricultural and Forest Workers (APVVU) in the state of Andhra Pradesh, the project aimed to reduce poverty and to increase food sustainability among marginalized fishers and agricultural workers, with an emphasis on the empowerment of women. Ten years later, these same fishing communities are now threatened by a man-made tsunami in the form of privatization of their tribal fishing area. As part of an industrial boom, the Government of Andhra Pradesh has licensed the building of 34 private coal plants in a 1,600 kilometer coastal area. Spearheading action against this, the APVVU has been successful in stalling the commissioning of 4 plants and forcing the government to establish minimal controls on coal ash disposal. Support for this project is aimed at strengthening the fisher unions’ capacity to negotiate with the State on their constitutional rights and entitlements.